CHICAGO (WLS) -- A person of interest was being questioned Tuesday night in the murder of Cook County Judge Raymond Myles, a Chicago police spokesman said. Myles was killed and a 52-year-old woman was wounded Monday morning in a shooting in the city's West Chesterfield neighborhood, police said. They were found shot outside his home in the 9400-block of Forest Avenue at about 4:51 a.m. Monday, police said. Police do not believe the shooting was a targeted attack, but instead a robbery. A $25,000 reward was offered for information about the shooting. Earlier, CPD Spokesman Anthony Guglielmi tweeted that they were making progress in their investigation. In murder of Judge Myles, CPD making considerable progress. Evidence & video collected, poss persons of interest being ID'd for questioning. The 66-year-old was leaving his home for an early work-out with a woman he knew when she encountered an armed man and was shot in the leg. "Upon hearing the commotion, and the gunshot, Judge Myles exited his residence to investigate. And again, based off this very preliminary information, they exchanged words with the offender before he was fatally shot multiple times," said Chicago Police Chief of Detectives Melissa Staples. Myles was transported to Advocate Christ Medical Center, where he was pronounced dead. The woman was also hospitalized and expected to be OK. Neighbor Allison Rogers says she heard the gunshots. "Me and my husband were getting up for the day and we heard two loud gunshots. We immediately ran out it in the front and we see police coming," she said. Family arriving at Myles' home on Monday collapsed to the ground upon learning of the judge's death. Detectives said they are still pursuing multiple leads but believe the shooter was a potential robber. Multiple neighbors said they've been targeted in recent weeks. "Lately there's been a lot of crime in the neighborhood, with break-ins, people checking doorknobs to see if they can come in on you," Rogers said. Investigators hope the witness account of the woman who was shot will help them track down the shooter. "Superintendent Johnson has been fully briefed on the incident and has ordered the department to use every resource to track down the offender and bring them to justice," Staples said. Judge Raymond Myles, who was killed Monday morning, was remembered by colleagues and those who had been in his courtroom as kind, fair and tough. During his 18 years on the bench, Myles handled several high-profile cases, and those who worked with him said he was a judge without an ego. "His courtroom personality was phenomenal. His ability to control his courtroom with dignity, his ability to transfer that dignity to the accused, people like my client, was amazing," said Wendelin DeLoach, a defense attorney. Fair, kind and tough is how attorneys and others who worked with Myles described him. Judge Myles received his undergraduate, masters and law degrees from the University of Illinois. He served as an Assistant State's Attorney before being appointed to the Cook County Circuit Court to fill a vacancy in 1999. "He was a judge that was fair to everyone. He gave everyone a fair chance," said Dorothy Brown, Cook County Circuit Court Clerk. Two suspects in the Brown's Chicken Massacre in Palatine appeared before Myles shortly after they were arrested in 2002. He was also the judge who ordered William Balfour to be held without bail. Balfour was eventually sentenced to life in prison for murdering three members of actress and singer Jennifer Hudson's family. In 2015, Myles was attacked after getting into a fender bender on the South Side. The other driver punched the judge in the face, breaking his nose. Myles' attacker, 22-year-old Deandre Hudson, was arrested 10 months later and is still awaiting trial. "There may have been some security for him some years ago, but nothing recently," Brown said. Myles' resume was also filled with a long list of volunteer and community work. "This is really tragic because, to me, I don't think he can really be replaced," said DeLoach, the defense attorney. The judge's cases have been transferred to another court, and counselors will be at courthouse Tuesday for anyone who needs support. 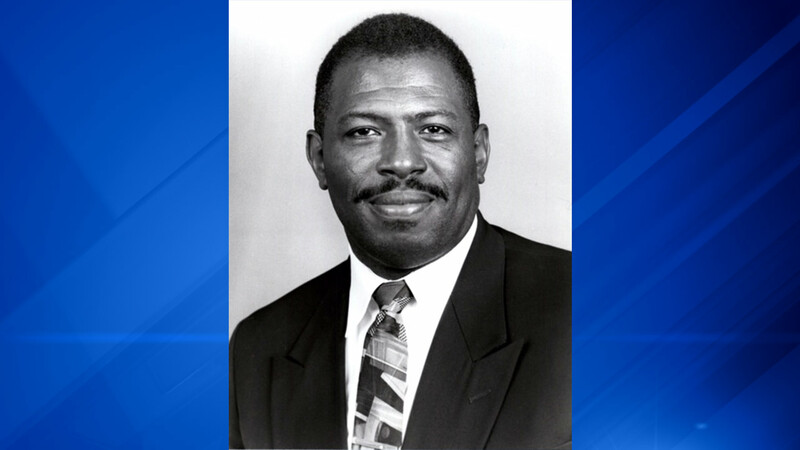 Chief Judge of the Circuit Court of Cook County Timothy Evans released a statement that said: "I join all of the judges today in the Circuit Court of Cook County in expressing our sadness regarding the tragic passing of our colleague and friend, Associate Judge Raymond Myles. I offer my deepest condolences to his family, friends and colleagues in the Criminal Division." "Judge Myles joined the court in October 1999 when the Illinois Supreme Court appointed him to fill a vacancy that he held for just over a year. The circuit judges appointed him as an associate judge in June 2001, and he has served in the Criminal Division since March 2009." "Judge Myles joined the bench with a wealth of experience in law and extensive service to the community. I have always known Judge Myles to be focused and determined in the pursuit of justice, and his conduct earned him the confidence and respect of the people who appeared before him." "All of our colleagues at the Leighton Criminal Court Building will miss Judge Myles, who they came to know for his kindness and his impartial administration of justice."